The weekend of September 8th and 9th, Barangay Los Angeles and the Festival of Philippine Arts and Culture (FPAC) invited The Malaya Project to set up an art gallery right in the festival grounds. For the first time in the history of FPAC, there was an openly LGBTQ arts space. Since the morning the festival opened, The Malaya Project gallery received numerous visitors, from families with their kids, friends, strangers to titos and titas. Throughout the course of the weekend, festival goers shared positive, supportive and touching comments on how the stories of the participants impacted them.Some were close to tears upon reading the words on the photos. In addition to having a safe space for our work, we also collaborated with Barangay Los Angeles to host a panel discussion about The Malaya Project. We were ecstatic to be joined by Maria Carmen Hinayon, Allison Santos, Nico De Castro and soon to be release designer Pedro Vidallon. All of which shared their personal lives with the audience. Other participants came by in support were Jonathan Ilano, newlyweds Genevieve Tan & Michelle Soliman, and Ongina. 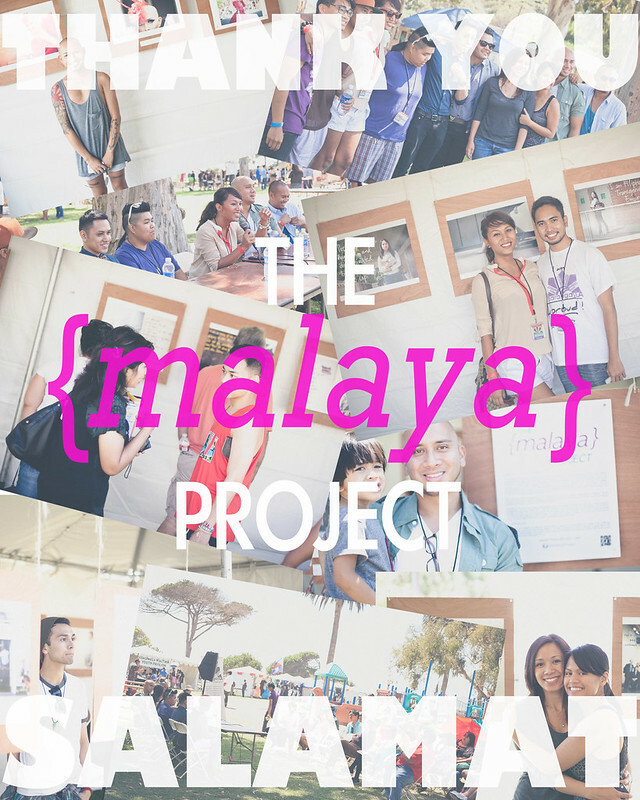 There was an overwhelming amount of appreciation and encouragement for The Malaya Project. We want to thank everyone who came out to support the project and most importantly supported the stories of proud LGBTQ Filipino/as. And special thank you to Barangay Los Angeles for their unyielding drive to create safe spaces and community for LGBTQ Filipinos/as.